Tortillas cook quickly on the griddle. 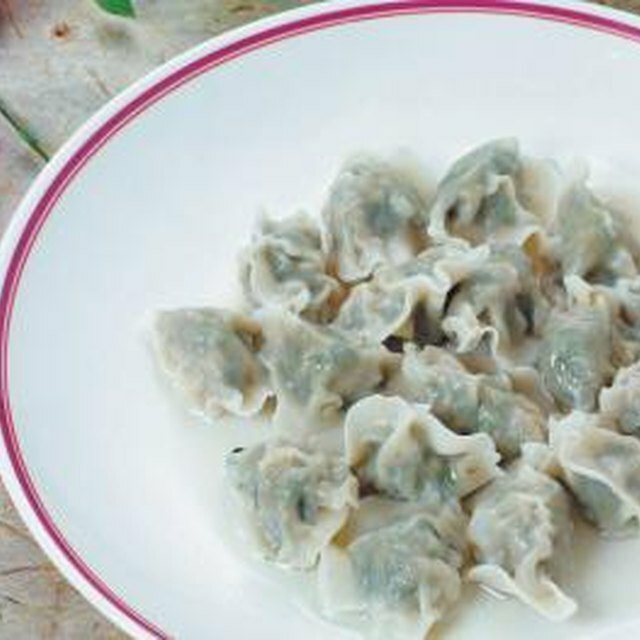 1 Can You Make Dumplings With Corn Starch? 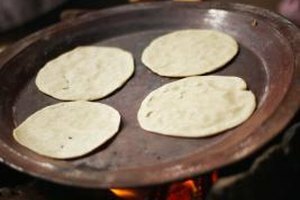 While flour tortillas are traditionally made with lard or shortening, you can make them with vegetable oil. A slight alteration to your recipe is all that is needed. Fresh homemade tortillas are soft and chewy, unlike supermarket tortillas. Once you've tried them, you'll want to make them often. If time is short, make the dough ahead and store it covered in the refrigerator overnight. You can easily adapt a tortilla recipe to use oil instead of shortening. Simply mix the dry ingredients thoroughly, then add the oil with approximately 3/4 of the water called for in the recipe. Mix with a fork, adding small amounts of additional water as needed to bring the dough together. If the dough is too moist and sticky, knead in a little flour. Shape, rest and cook the dough as your recipe directs. How Many Calories in Black Beans and Rice?